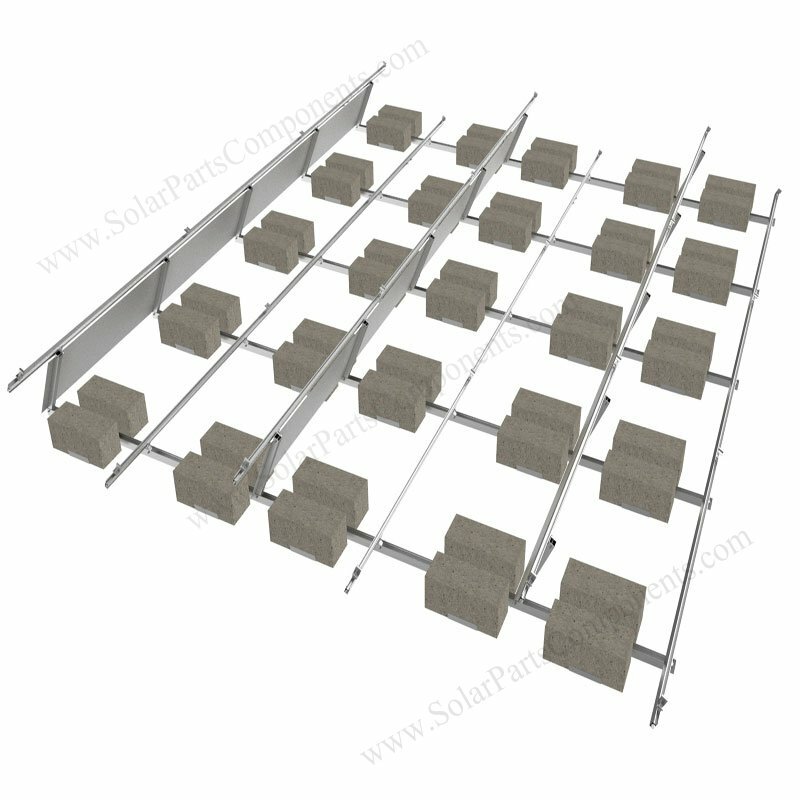 This ballasted solar mounting system is designed for flat roofing . 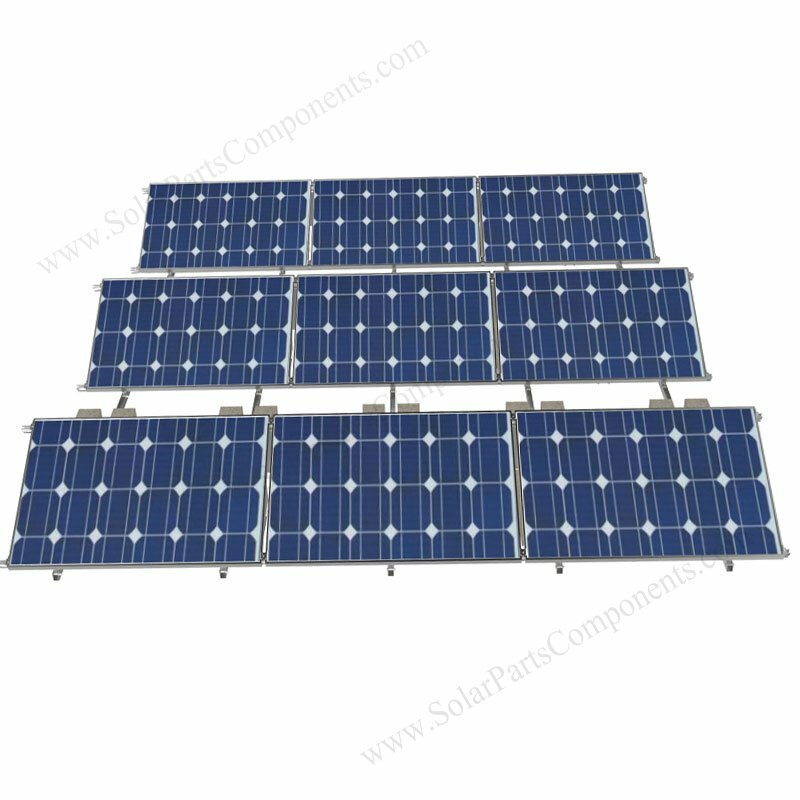 They are made of AL 6005 – T5 aluminum profile with wind shield for optional . 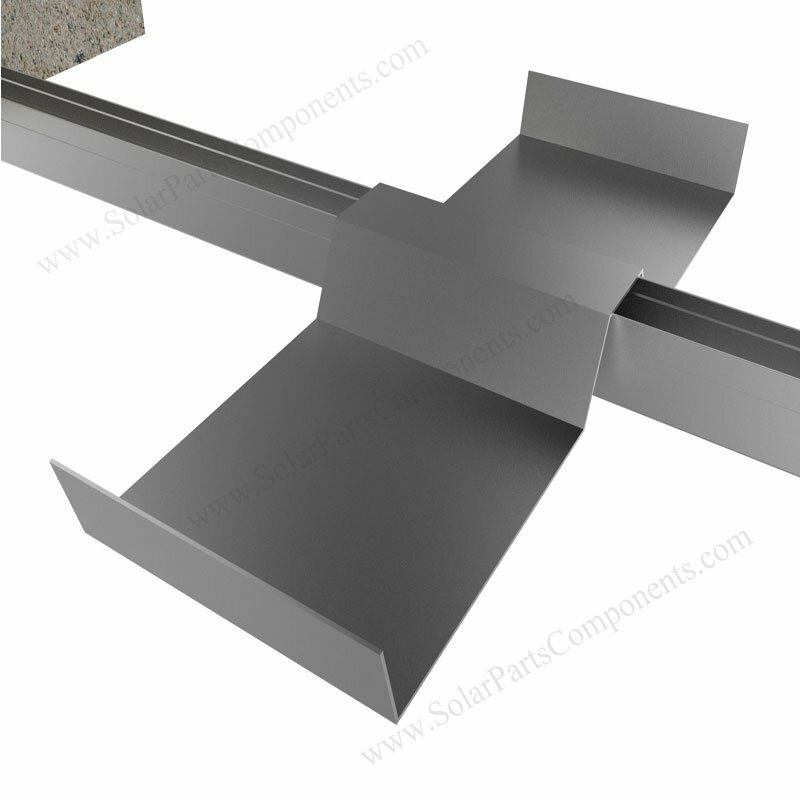 This PV module mounting structure is simple , universal and fast installing for rooftops . 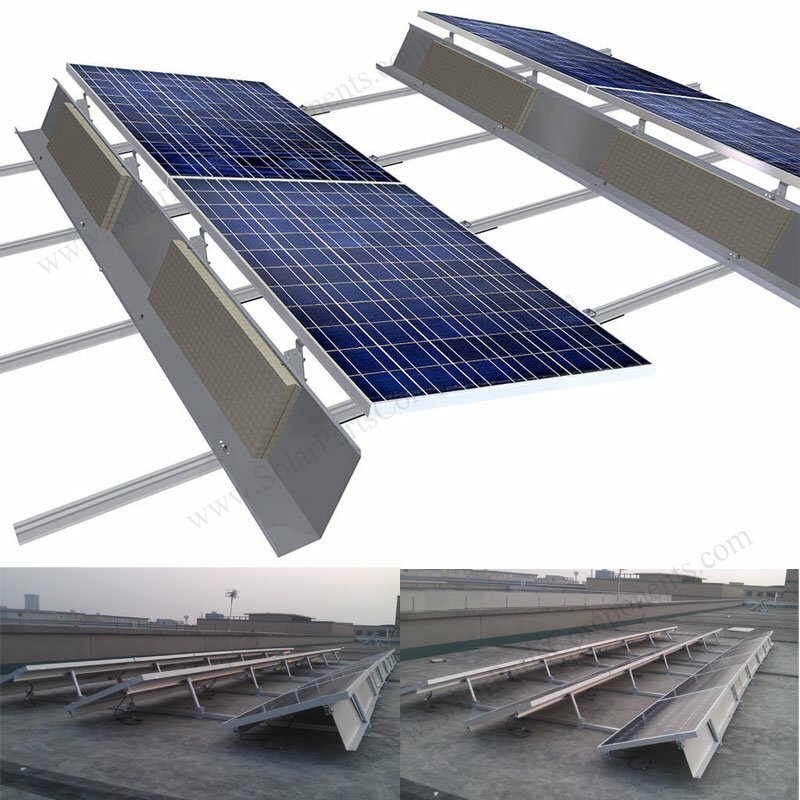 Reliable for long life flat roof energy station project , easy for maintenance . Our design engineer will assist evaluate whole layout sketch and simulate wind and snow loading according each solar project . Our team will render a complete solution for installers and 7/24 tech supports . 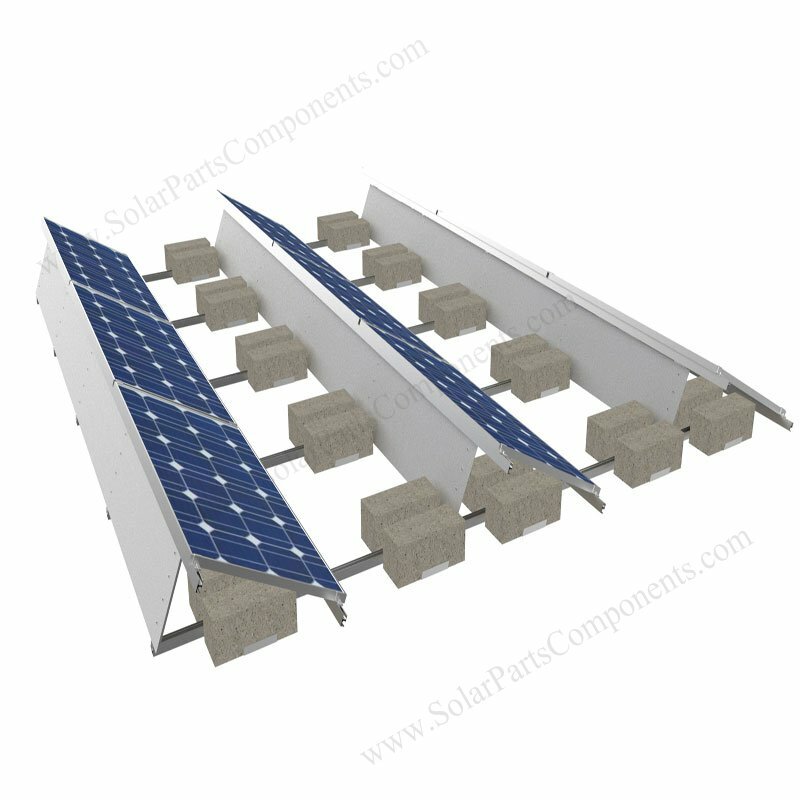 Flat roof ballasted solar racking system can maximize capacity of rooftops with our modular design programme . 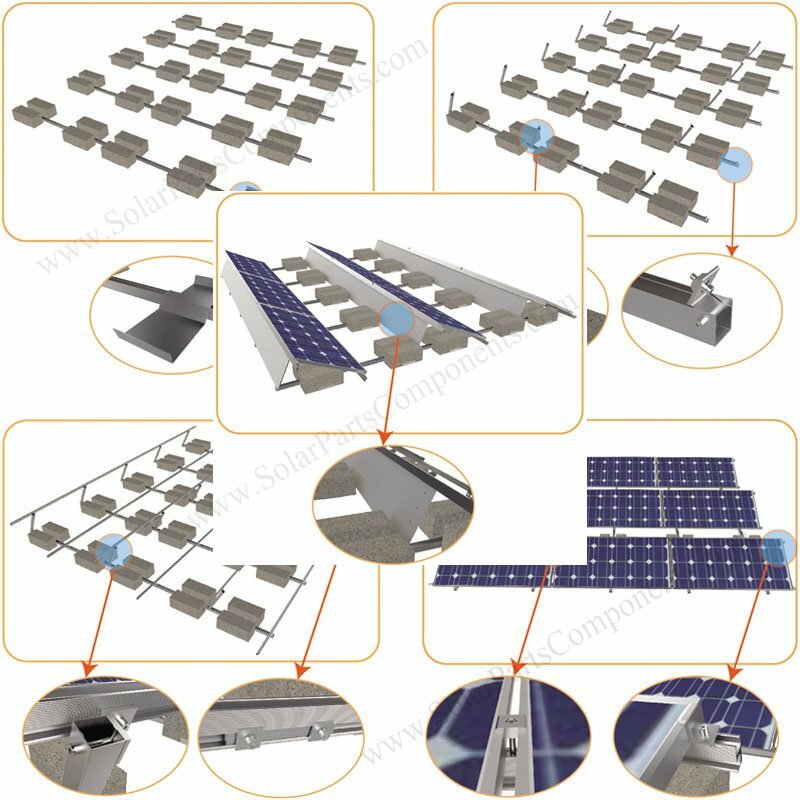 Pre-assemble & engineering package for sets can help your solar flat roof mounting project be mounted in several days and accelerating delivery time . Concrete blocks offer good weight for ballasted material , so that prevent pv modules from destroying . 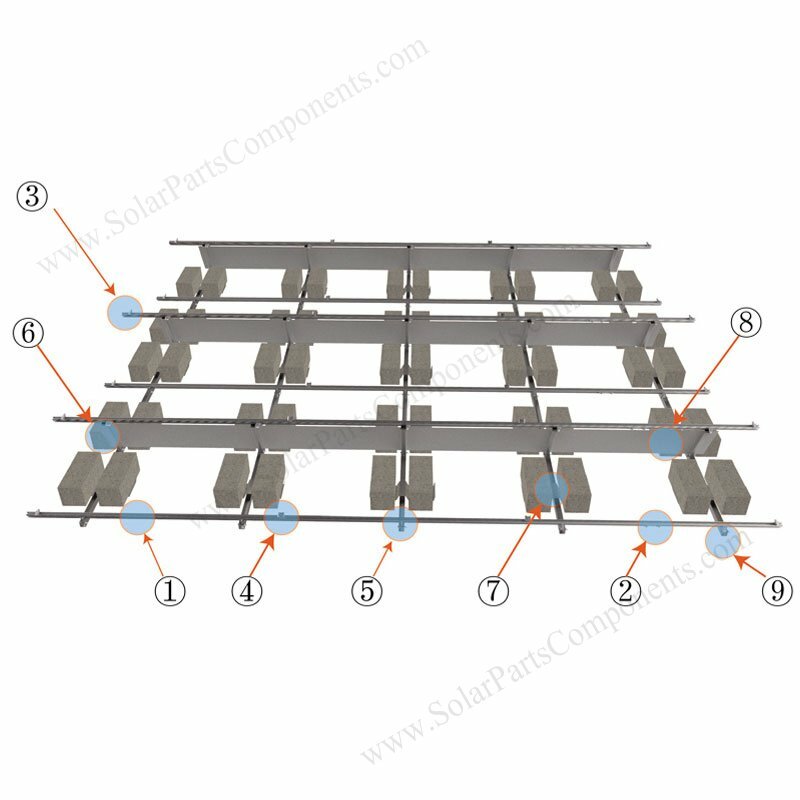 Simple but study structure design for this ballasted mountng system can be a good choice for flat roofing pv module project . 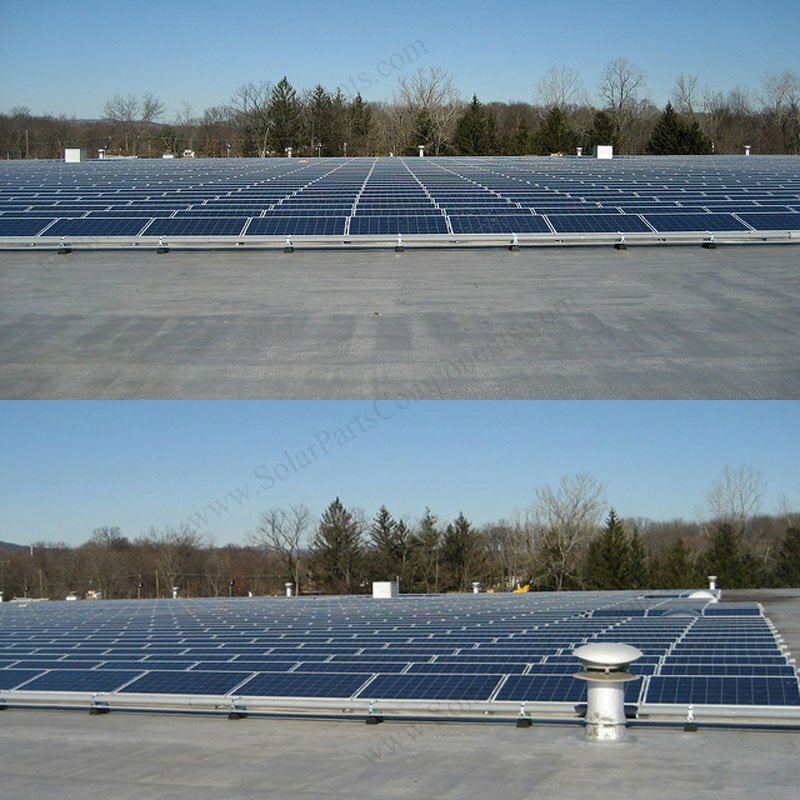 This install-and-play ballasted solar racks can protect former roofing from drilling & punching holes , with more than 20 years’ duration span service . 5. 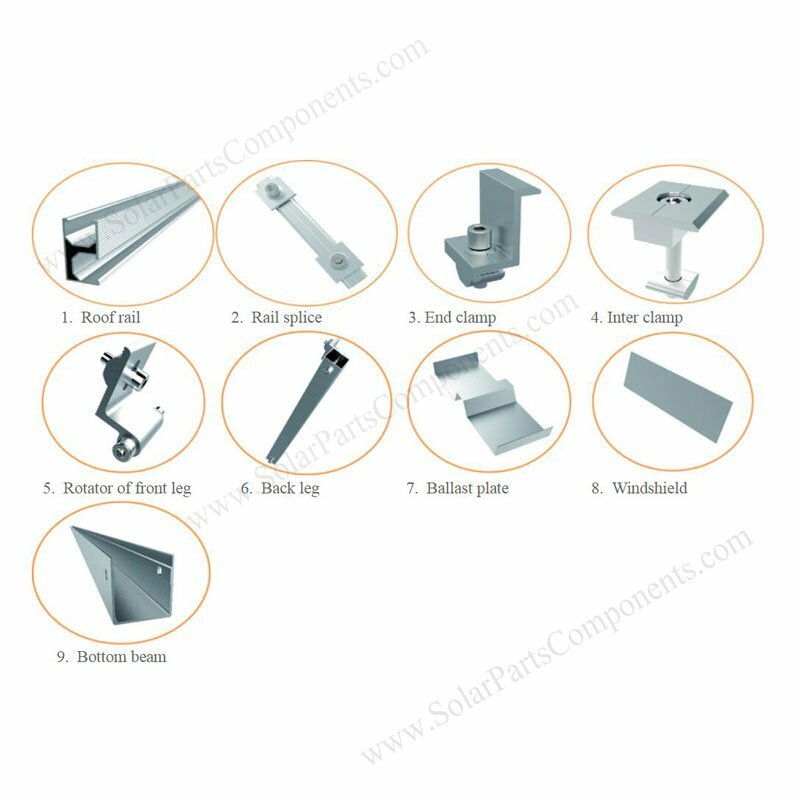 Install steel wind shield (Optional). 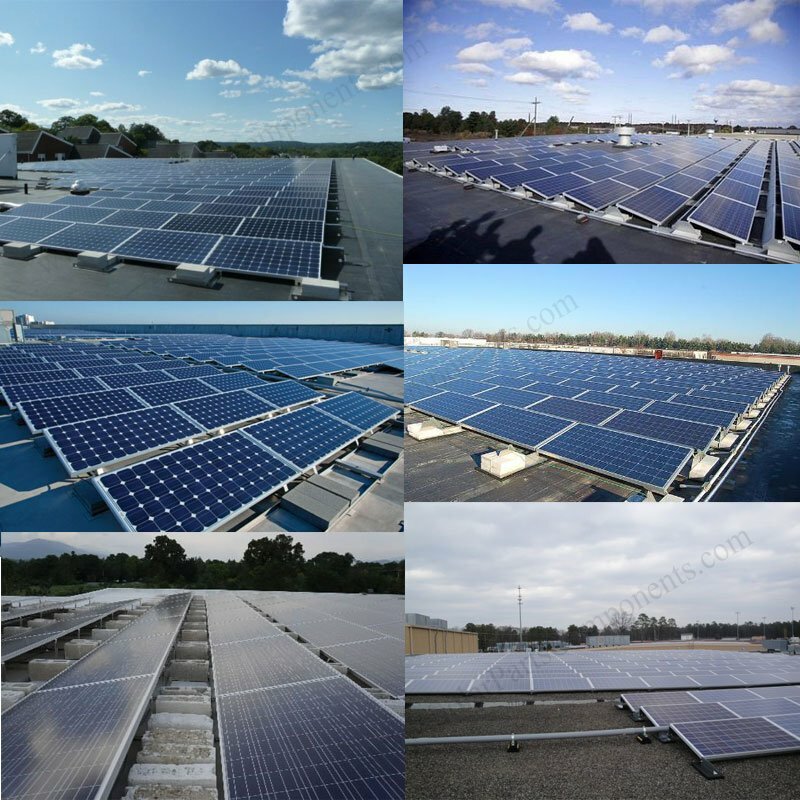 Ballasted flat roof system is suitable for both landscape & portrait orientation layout , thin film / framed solar panels can be well installed with our ballast racks .